Bring the whole family to the fastest show on H2O! The Menomonie Lions Club proudly hosts the exceptional racers of IWA Watercross for a 2-day weekend of awesome racing action each summer! This is a family fun event that includes; food and beverages, vendor opportunities, a great park location to find other things to do while here and a community full of shopping, restaurants, fun and history to explore! Come join us for an action packed weekend as the IWA circuit makes its annual stop in Menomonie, Wisconsin on June 22nd & 23rd, 2019! Watch racers gear up to speed their sleds from the beach across ample open water at speeds up to 70 mph! 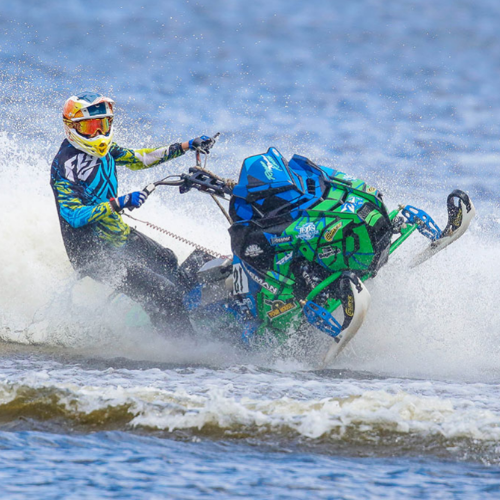 Men and women racers aim to crush their heat as they take their specially fitted snowmobiles onto the waters of Lake Menomin. There is food and beverage onsite and live music on the beach Saturday night… come for a night or stay for the whole weekend. It is great fun for the whole family with plenty of racing action! GET YOUR TICKETS EARLY AND SAVE! Enjoy live music Saturday night. 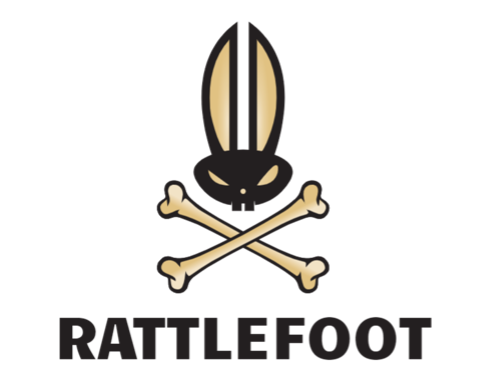 RATTLEFOOT will perform at 7pm. Lake Menomin WaterX is hosted by the Menomonie Lions Club, a non-profit organization that puts proceeds back into the local and national community. © 2019 Volume One Tickets. All rights reserved.